In the past two weeks I have had the occasion to reconnect with two guys I have not seen in nearly 40 years since we were college baseball teammates. One is a school administrator and the other a pastor turned missions agency representative. Neither were extraordinarily close friends, but in both cases we share a great deal of mutual acquaintances and ministry experiences. I am always massively blessed and refreshed by these sorts of encounters. With such men I share an unspoken bond and common experience of serving in ministry for decades. The depth of that bond is fortified by our joint knowledge that most of those with whom we went to the “ministry academy” with are not actually continuing to the end on the battlefield. Beyond surviving one’s own potentially discrediting foolishness endemic to all sinners, there is much to discourage and cause the servant to bail out into an easier lifestyle. This happens not only to professional Christian workers. While much encouraged by lifelong church acquaintances who have proven themselves faithful to Christ over multiple decades, even unto death, there are sadly so many who have taken divergent paths into presumed fields of ease and pleasure. It is not always that these MIAs deny the faith or turn into skeptics, they just choose rather to quietly put their faith on a back burner or hide it in the attic of life as a memory to look at every once in a great while – kinda like in the box next to the high school sports trophies and yearbooks. 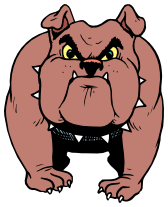 There is an old phrase that is used occasionally to speak of a strategic choice in life – “Walk TOWARD the barking dog.” Picture a fierce-sounding canine stretched out on his chain to its full extension, teeth showing, snarling and barking aggressively as you walk toward it. Maybe it backs down and rolls over for a belly rub. Or maybe it tackles you and gives you a toothy kiss on the neck. Paul tells Timothy in these opening words of the second letter to his younger apprentice to walk toward the barking dog of ministry and faithful endurance. There is much to discourage and cause one to walk the other way and just let the dog bark itself silly. There is your own fear; there is the all-too-frequent opposition of God’s people who misunderstand; there are those who frankly work for the other Kingdom and sow seeds of error and contention; and there is the hostility of an unbelieving world who hates you and the gospel you represent. Who needs all of that in their life? 1:1 – Paul, an apostle of Christ Jesus by the will of God, in keeping with the promise of life that is in Christ Jesus, 2 To Timothy, my dear son: Grace, mercy and peace from God the Father and Christ Jesus our Lord. The affection, the history these men shared in ministry, both are evident here. When were Timothy’s tears seen by Paul? Perhaps on the occasion of Paul leaving Timothy in Ephesus while he travelled on toward almost certain hostilities that would end him in something like the Roman jail from which he was now penning this very letter? Having spent most of my adult life heating our homes with fire in stoves, I can tell you that the nature of fire is to burn out. For fire to be continuously successful you need fuel, heat and oxygen. The gospel message is the fuel and heat, the need is for Timothy (and us) to continuously allow the wind of the Spirit to blow in and through in order to rekindle and fan into flame the gift (the word for grace) in service for the Lord. As Paul often did in his writings when talking about grace and God’s work of salvation in his life and the lives of others, he goes off into a brief tangent about the very nature of the gospel – giving the big picture of it, rooting it into eternity past (meaning it was not a “plan B” God had to come up with when mankind screwed up), accomplished in time by the work of Christ, and finding final fruition in an immortal kingdom. Paul was always amazed that God called HIM, of all people, to be a herald of this truth. The world – Satan’s temporary sphere of influence – hates this truth. Those who proclaim it may often find themselves suffering in this alien place because of it. But such a divine calling is nothing about which to be ashamed. Rather, as in verse 8 above, Paul calls on Timothy to embrace this suffering … to walk toward the barking dog. We wrote in Tuesday’s devotional about this word for “deposit” … how it speaks of the gospel as a valuable commodity to be entrusted in the way a sum of money is placed in the care of a banking institution for protection and wise use. Timothy should follow the pattern Paul had given him to remain steadfast and faithful, as the Spirit living within would assist and enable. So all of you who name Christ and read these words – Paul’s and mine – determine to remain faithful to the end, whatever it may be. Along the way will be some nasty dogs who bark and snarl. Fear them not. Endure. Keep walking. This entry was posted in Nuts and Bolts and tagged 2 Timothy 1:1-14 by Randy Buchman. Bookmark the permalink.